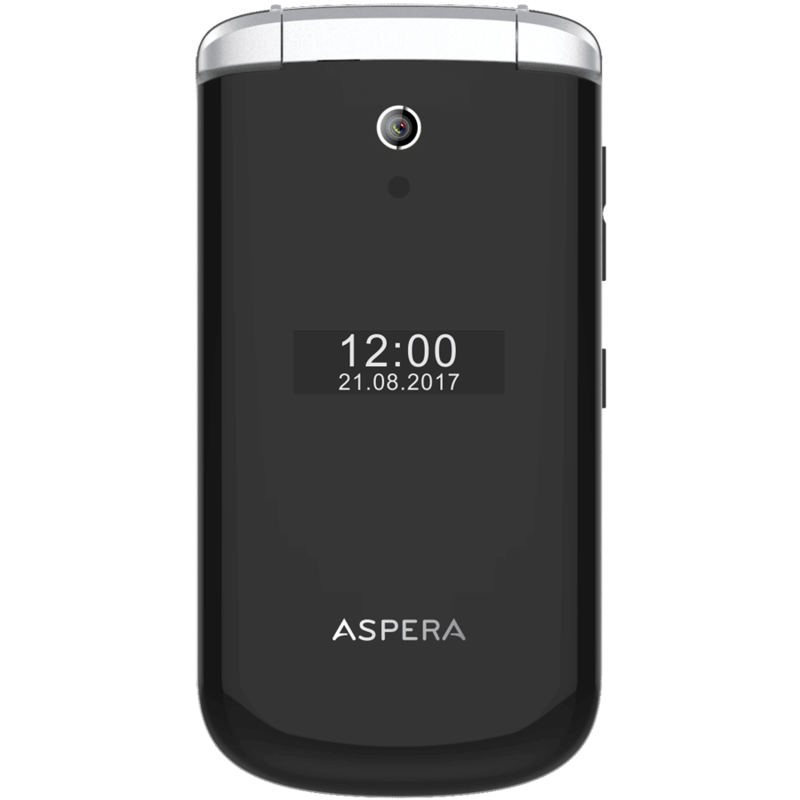 Aspera F28 combines the classic functionality of the flip design with beautiful styling to create a perfect solution for those not requiring a smartphone. 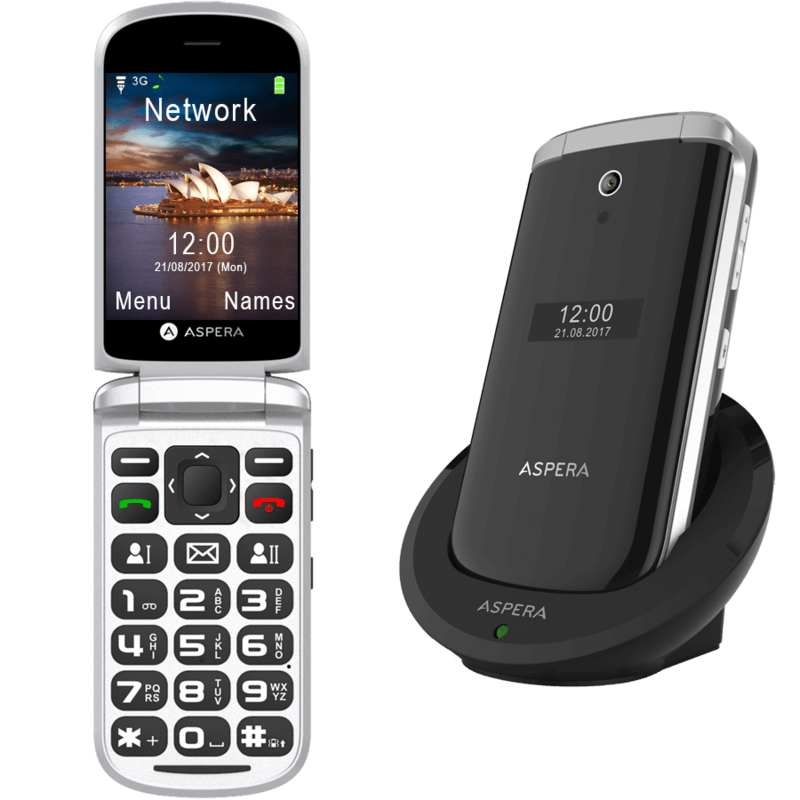 The main display is large at 2.8” and the external screen displays caller ID and message notifications. 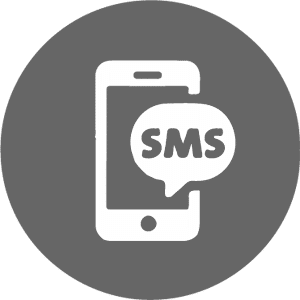 If the caller is saved as a contact their name will display when their call is received. 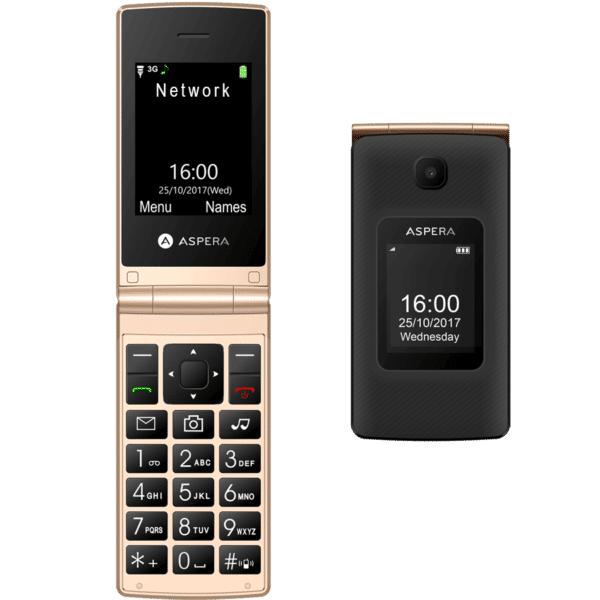 Big tactile buttons make for easy keypad usage, and the keypad also includes 2 programmable Easy dial keys which allow one touch speed dialing for frequently used numbers. 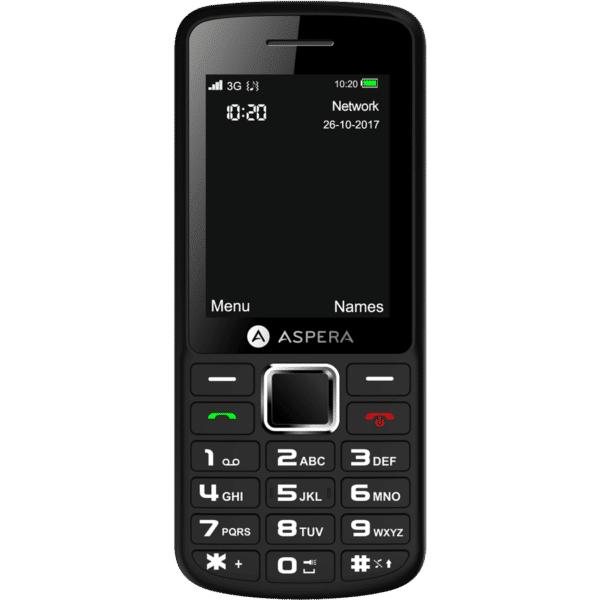 In addition, up to 8 more speed dial numbers can be set for the keypad numbers. 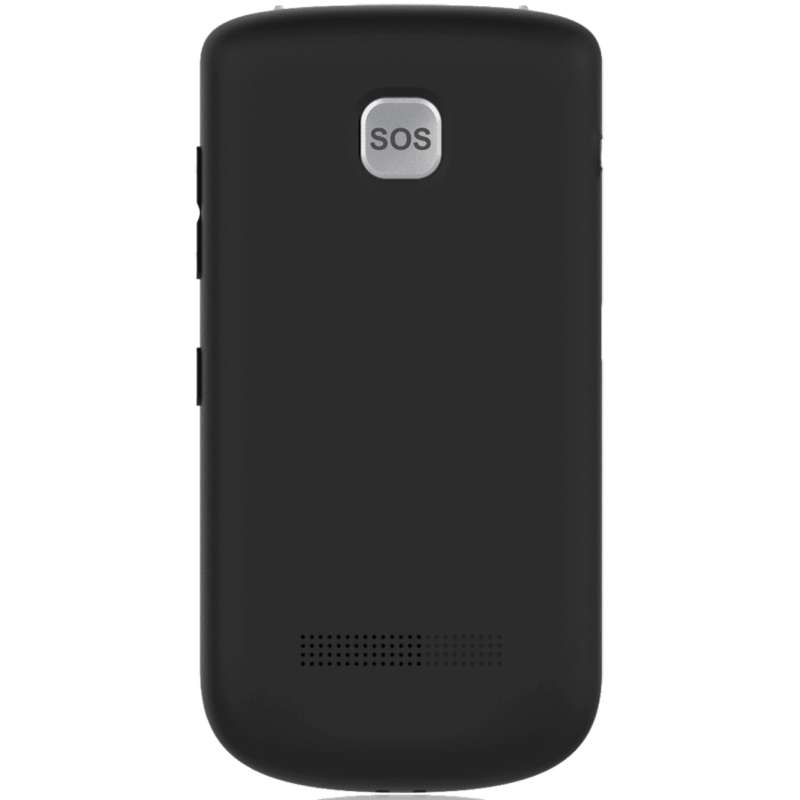 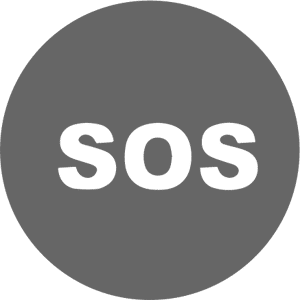 An integrated SOS button on the back cover can be set up to dial emergency contacts when pressed for 3 seconds. 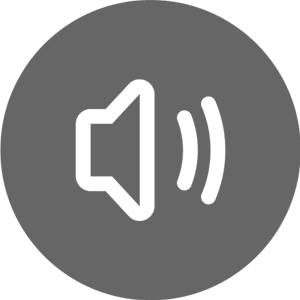 Inclusion of Telecoil 4 technology allows the F28 to be used with compatible hearing aid devices. 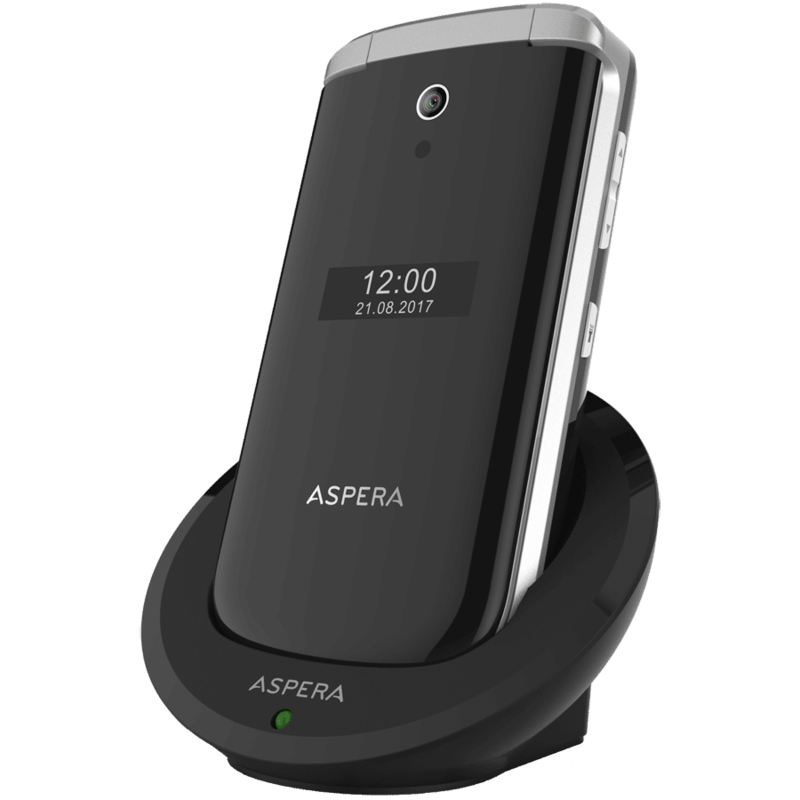 The included charging cradle makes charging easy, simply place it in the cradle and the indicator light will show red when the phone is charging and then change to green when fully charged. 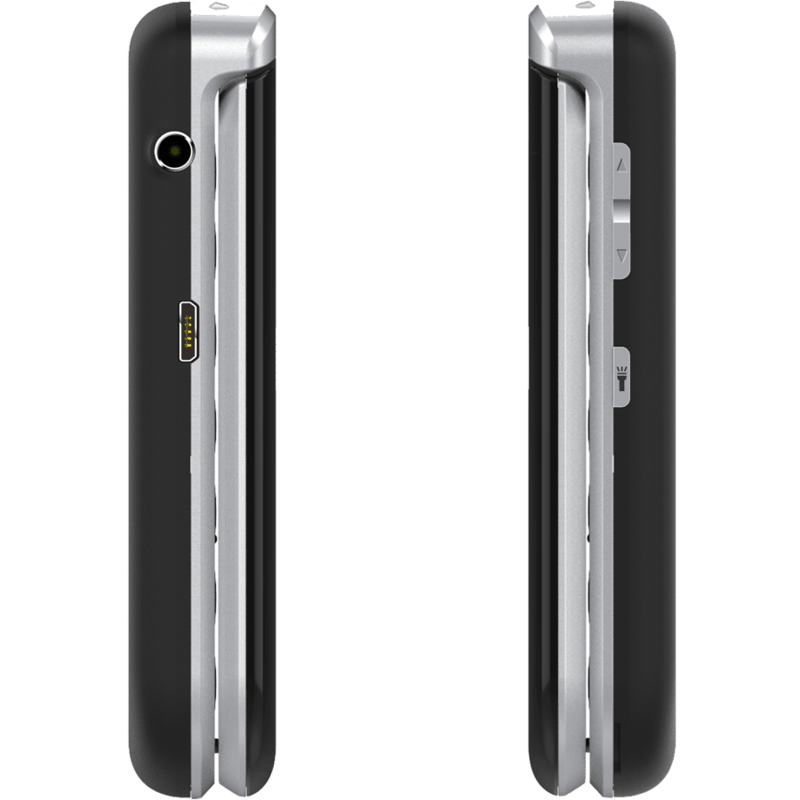 F28 is unlocked and has all required 3G frequencies, so you can use it on any Australian or New Zealand 3G network.